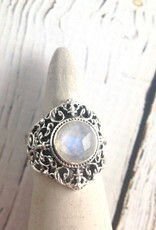 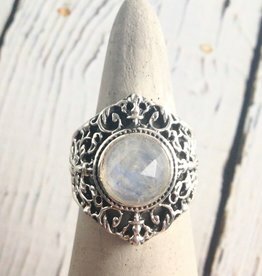 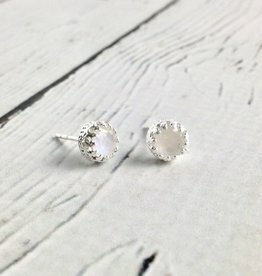 Sterling Silver Ring with Round Faceted Moonstone, Size 7. 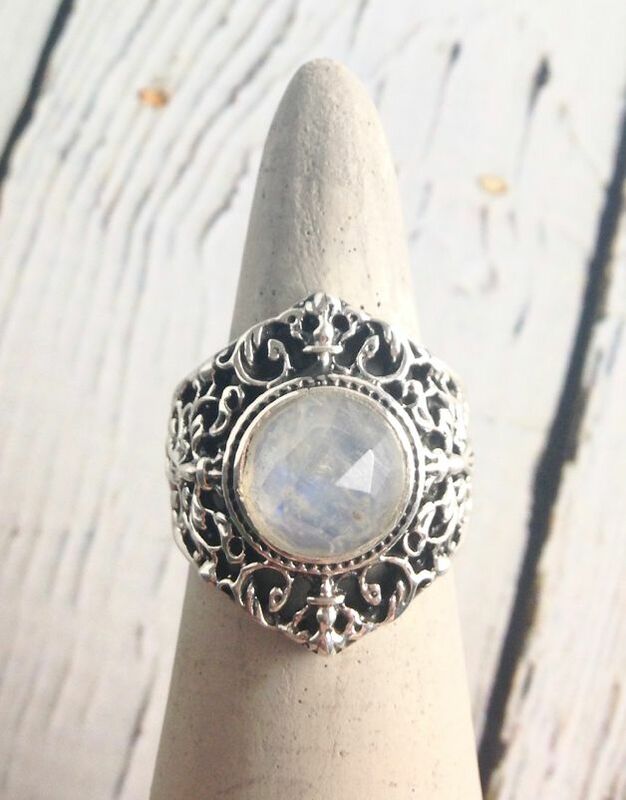 We love this ornate setting. 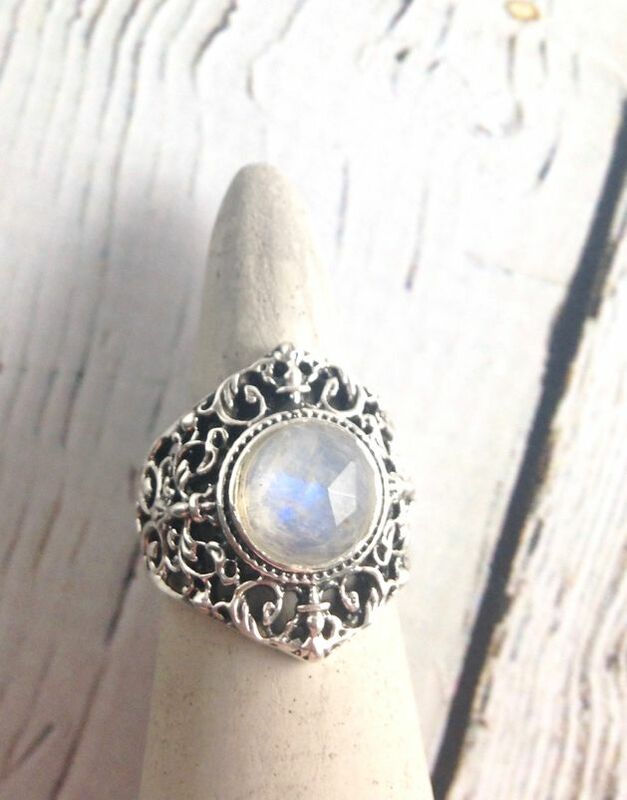 It really brings out the magic of moonstone. 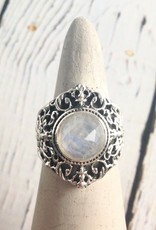 Ring measures .75” at it’s widest point.